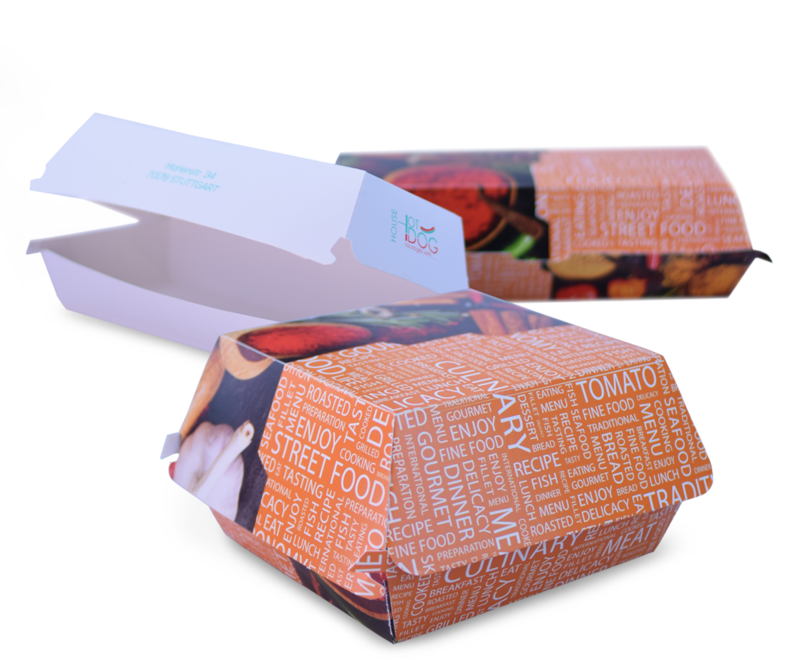 A burger box is a perfect choice for burgers, sandwiches, hot dogs, French fries and other types of food. 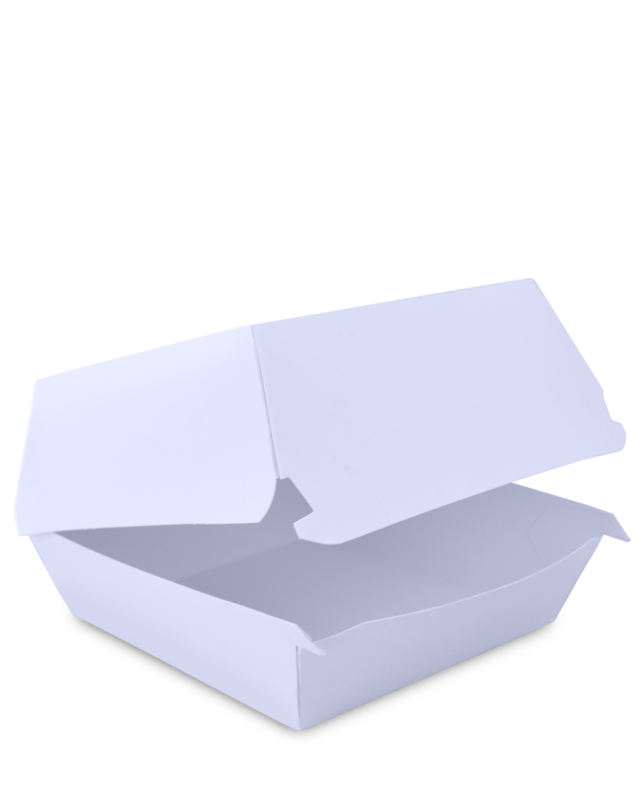 Dimensions of a small burger box are 100x100x75 mm (its height is 130 mm at the widest part, where the box folds). Dimensions of a large burger box are 120x120x85 mm (its height is 160 mm at the widest part, where the box folds). Dimensions of a Panini sandwich box are 195x195x75 mm (its height is 215 mm at the widest part, where the box folds). They are made of fine cellulose cardboard. They are available in white or with our universal print. They can be custom printed with your print and logo.